For our Head Office in Istanbul, we are looking for a Senior AngularJS Developer who has deep knowledge, hands-on experience, and a passion for building awesome software. The successful candidate will play a fundamental role in achieving our ambitious growth objectives. have implemented fully functional web applications using from scratch HTML/JS/CSS or using frameworks (i.e. : AngularJS, Bootstrap, etc…) or plugins when necessary. 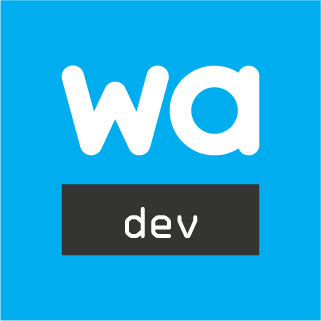 have deep understanding and experience in AngularJS. have written code to connect HTML applications to web services and databases, using REST and other technologies. have a strong attitude for test-driven development. love constant improvements and sharing your ideas. have clear, effective communication skills in English, both written and verbal. for proficiency in GitHub flow. for Bachelor degree and above in Computer Science, Software Engineering, or related field. Founded in 2015, Wordapp is a Turkey-Sweden based software Start-up company led by a Swedish entrepreneur and a CTO with a Silicon Valley background. Wordapp is comprised of a team of creatives, problem-solvers, polyglots and disruptive innovators designing a new product that lets people monetize their language assets. Our growing international team is working very hard to revolutionize the world of freelancing and the internet.